You’ll find product brochures and information on partnering with MailGuard, plus there are examples of whitepapers, infographics and prospecting flyers that our team can arrange to have co-branded for you. 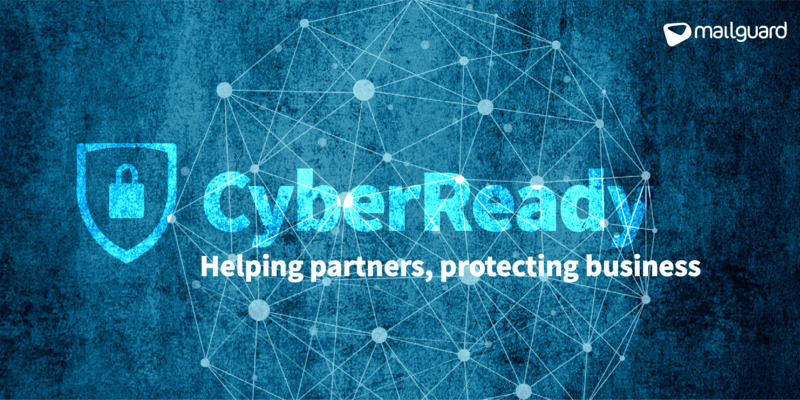 Otherwise, take a look at our CyberReady Industry Snapshots with insights for a range of verticals, including government, education, health, financial services, retail and manufacturing. In a modern workplace, the organisations we serve rely on new technologies, cloud-services, e-commerce, and mobile & interconnected workforces. In that environment, our clients are entrusted with sensitive data affecting their customers, employees and shareholders. We see new incidents every day, but it can be hard to engage clients who are busy trying to make a dollar, micro-focussed on improving their core businesses and striving to achieve growth targets. To help partners with communications about cybercrime, MailGuard has even added some of its own marketing content like whitepapers and infographics. The portal is a starting point for your go-to-market plans. Speak to an account manager about your plans, to see how MailGuard can support you more. We can help with blog content, eDMs, case studies and events, to name just a few of the ways that MailGuard is helping partners, protecting business. MailGuard's partner blog is a forum to share information and we want it to be a dialogue. Reach out to us and tell us what your clients need so we can serve you better. You can connect with us on social media or call us and speak to one of our consultants.